A Malaysian diplomat who sparked an international incident when he attacked a woman in her Wellington home was sentenced in a New Zealand court on Thursday. On Wednesday, an Egyptian appeals court overturned death sentences for 149 pro-Islamists accused of killing policemen in a mob attack on their station, a judicial source said. Former Argentinian soccer star Diego Maradona accused his ex-wife, Claudia Villafane, on Monday, of plundering around nine million US dollars worth of his assets amid the alleged fraud scandal that surfaced in 2015. A Melbourne teenager accused of plotting a terrorist attack allegedly planned to pack a kangaroo with explosives and set it loose on police officers. As more information is reported surrounding a Chinese man held in Hong Kong for allegedly killing his two nephews in Los Angeles, the local Chinese community expressed outrage and wants swift justice. 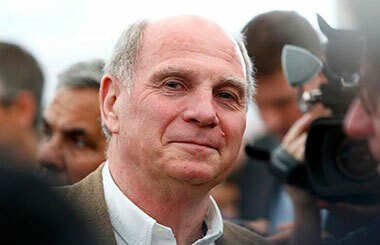 Former president of Bayern Munich Football Club Uli Hoeness will be released from prison on Feb 29 after serving almost half of his three-and-half-year sentence, German media cited justice officials from Augsburg district court as reporting. A Turkish court on Sunday charged 10 people over the suicide bombing in the heart of Istanbul's tourist district that killed 10 German tourists. A Vietnamese court sentenced a Canadian man to four years in jail on Wednesday after finding him guilty of sexually abusing four homeless teenage boys.